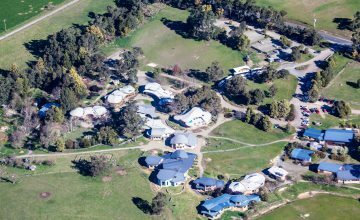 The Little Yarra Steiner School began with a gift in 1986 when the school’s first Kindergarten and Prep group started operating from the Wesburn hall. 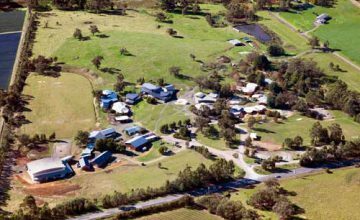 Local farmer, Alan Earle, offered to lease some of his land to the school but when the site proved too flood-prone for building, Alan sold his farm. The proceeds of this sale enabled the purchase of the property on which the school is currently situated. 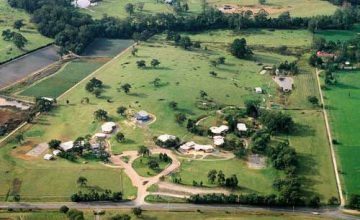 The property rests on 60 acres bordering the Little Yarra River, with 18 acres used for the school and kindergarten and the rest used for organic/bio-dynamic farming and revegetated wetlands. The architecturally designed school buildings are designed to meet the particular needs of each class, creating an inspiring working and learning environment. They also manifest an important aesthetic principle of Steiner philosophy by combining purpose with form and beauty. The physical environment is an important part of the overall vision to create a culturally inspired learning, working and social environment. In the primary school each class has its own individual play area, some with sand pits, swings, climbing equipment and all with abundant space. The buildings are far from merely utilitarian (or institutional) in character, but reflect their inner purpose through an interplay of colour, line and form that is uplifting and life enhancing to the people who work and learn in them.